A Singapore Civil Defence Force (SCDF) full-time national serviceman (NSF) died yesterday after he was found unconscious at the bottom of Tuas View fire station pump well. A later media report revealed that it is believed the NSF, who was due to ORD this Wednesday, was ragged into entering the well. An unknown source allegedly contacted TNP and reported that ragging is typically done to mark an NSF’s end in the Force. Ragging in the SCDF can allegedly include acts such as pinning an NSF to the ground and applying boot polish to their skin or even throwing an NSF into a pool. Ragging is banned in the Force though it is reportedly still carried out. It remains unclear how CPL Kok entered the well. Meanwhile, Law Minister K Shanmugam has called for an audit to look into CPL Kk’s untimely death. The Minister told reporters that the “conduct of some of the people involved” was in “clear violation” of the SCDF’s rules and called the incident a “celebration gone wrong” that resulted in the “tragic loss” of a “young man full of potential”. Shanmugam, who had met Kok’s family earlier today, did not wish to “give a descriptor to the incident” at this time, when he was asked whether this was a case of ragging gone wrong. 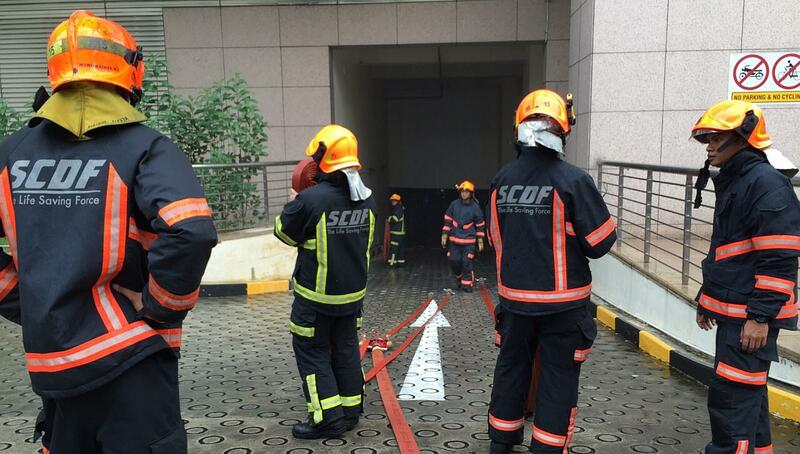 SCDF deputy commissioner Chong Hoi Hung confirmed that this is the first such death. FULL VIDEO: Singapore Civil Defence Force NSF died as a result of "celebrations gone wrong"; incident was a "clear violation of SCDF rules", Minister K Shanmugam Sc tells reporters. This incident comes just two weeks after an army NSF passed away after “displaying signs of heat injury” at Bedok Camp. NSF Dave Lee Han Xuan, was conveyed to Changi General Hospital (CGH) on 18 April after an 8km fast march at Bedok Camp. The Guardsman from the 1st Battalion Singapore Guards fell into a coma and spent 12 days at CGH’s Intensive Care Unit as his condition worsened, before he passed away at 5.32pm on Monday, a mere 10 days after his 19th birthday.